Hello there! 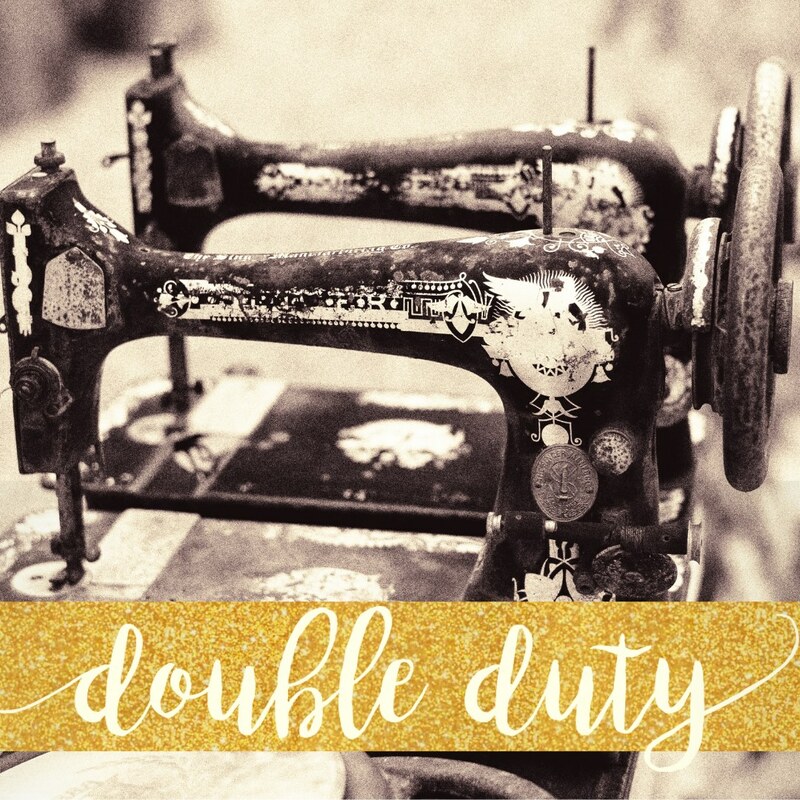 Welcome to my stop on the "Double Duty" Rebecca Page blog tour! Our brief for this tour was to sew up an original pattern all vanilla like......then..... turn it into something different or alter for a different purpose. It didn't take me long to settle on Monte Carlo. 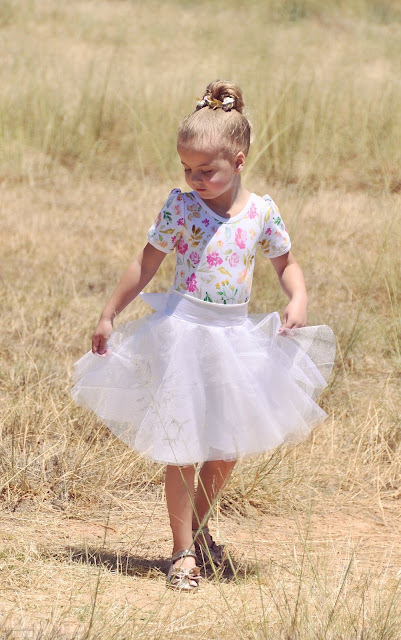 I love both the women's and children's options and I've sewn many for both my daughter and myself. With the weather in sunny Western Australia being so, well, sunny, it seemed appropriate to repurpose Monte Carlo as a bathing top! Oh and before I go on a tangent, let me just say, there are PRIZES up for grabs on this tour!! So make sure you scroll to the bottom for all the deets. For my original Monte Carlo, I opted for the tunic length top, with a ruffle trim. The women's version comes with both the thin and wide strap options, although the girls only includes the thin. I love that Monte Carlo includes tunic, knee and maxi lengths, each creating a different look. 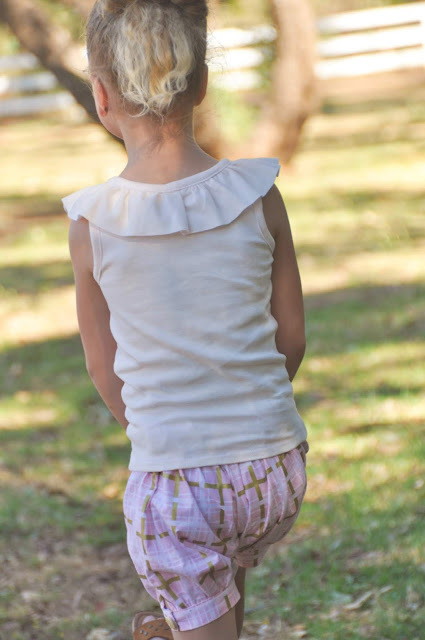 The back can either be shirred or uses elastic casings - as I've done with this version. Monte Carlo has just the right amount of skirt fullness and is very flattering on all shapes and sizes. I decided to pair this tunic with leggings for a casual look, perfect for play. 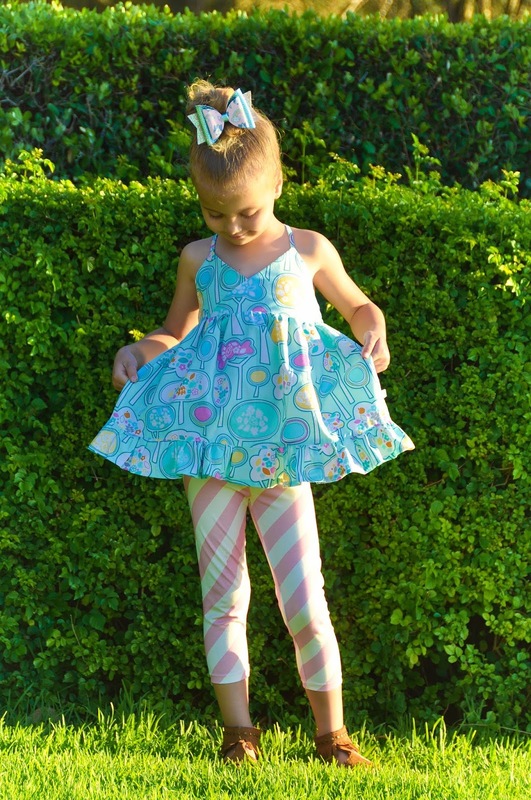 Free girls legging pattern available HERE , join the Facebook group HERE for coupon code. 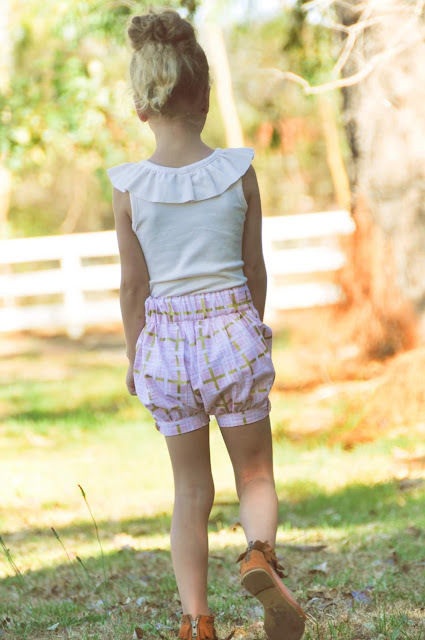 Since my daughter is tall and slim in build, I sewed a size 2-3 width with 5-6 height. This top is sewn in quilting cotton, although I love rayon, knits and linen for my sized versions. Get the Monte Carlo pattern HERE. 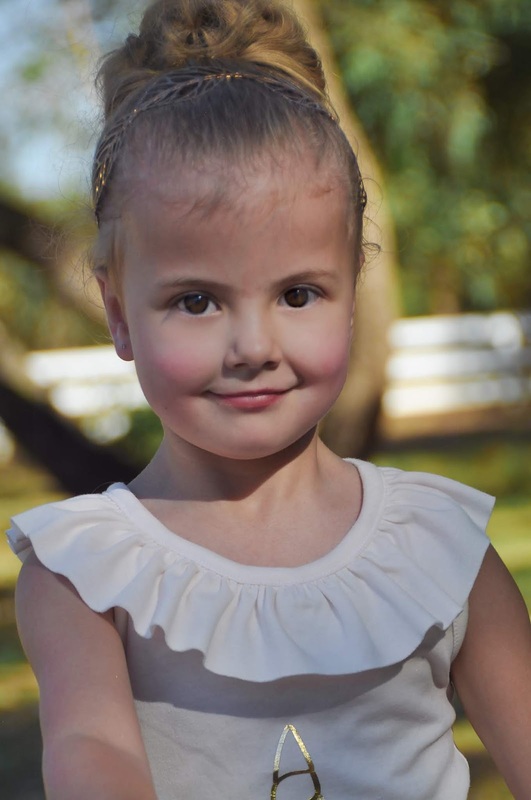 A big shout out to Acacia Grey Studio for providing the beautiful hair bow you see paired with Miss A's Monte Carlo tunic. 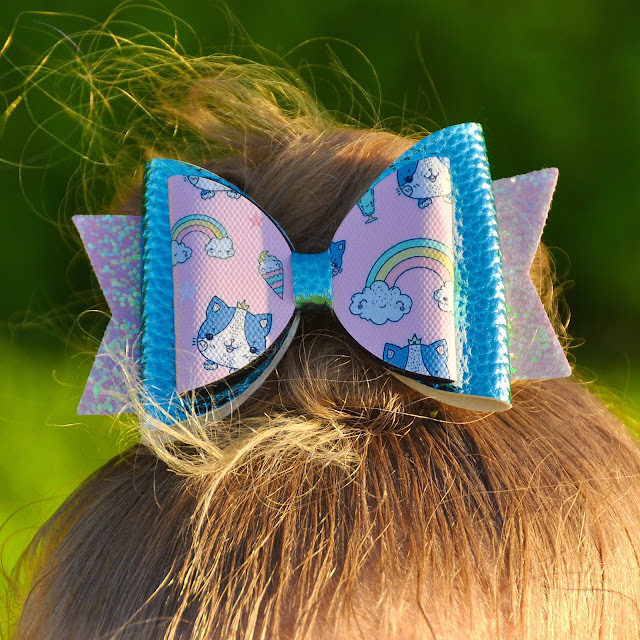 We adore bows, glitter and cats, so this hair accessory was an instant hit! Visit Acacia Grey Studio HERE or IG HERE for custom handmade bows. Monte Carlo takes a DIP! I knew Monte Carlo would make a great base to create a tankini style swimsuit top. 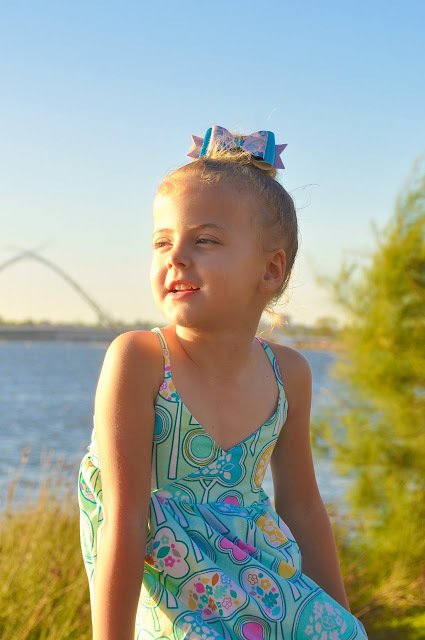 Rebecca Page sadly does not have a swim pattern yet, so this pattern was just the ticket! Unlike ALL of Rebecca Page's patterns, this swimsuit hack doesn't have hidden seams. This is due to the bulk they can create with knit fabric. However, the small pay off equals a beautiful suit! The bodice portion is still fully lined. I crossed my straps like the original pattern, although a halter neck tie would also work nicely and allow for some adjustment. 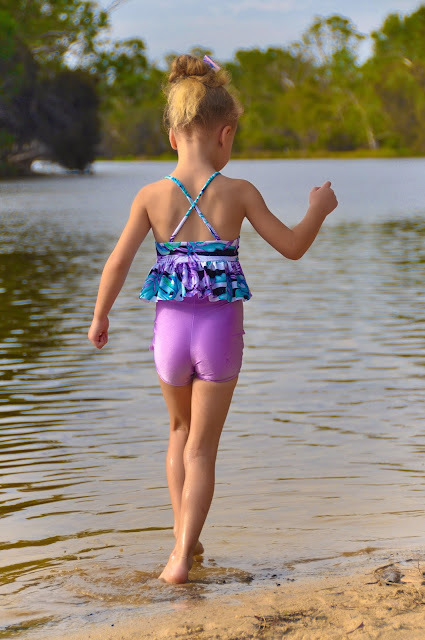 These sweet vintage boy-short style bottoms are not part of the Monte Carlo pattern, however they are available in a separate swimsuit pattern HERE. 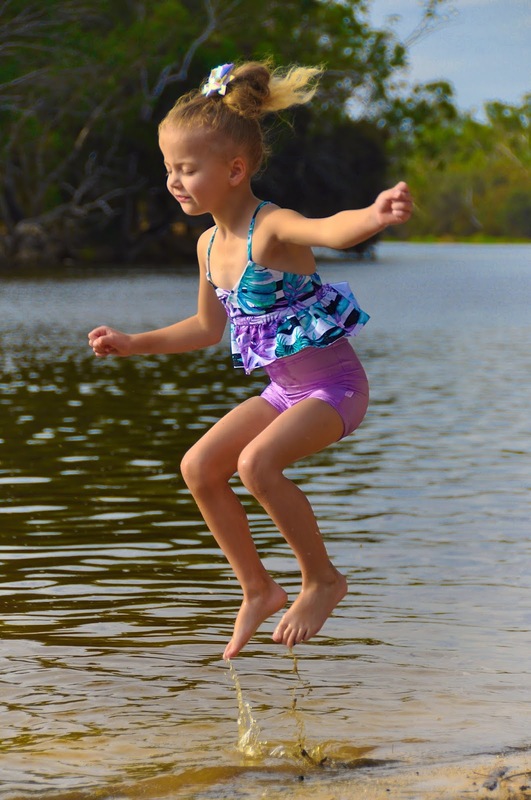 For beautiful, high quality 50+ SPF custom swim fabric, visit SEMS Fabric HERE. 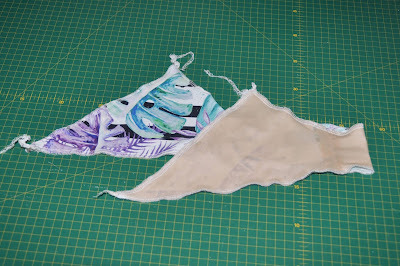 I am about to share with you exactly how I altered the Monte Carlo into a swim top, although I must point out the importance of measuring and periodically trying on your version on yourself or your model. How I did it....so you can too! 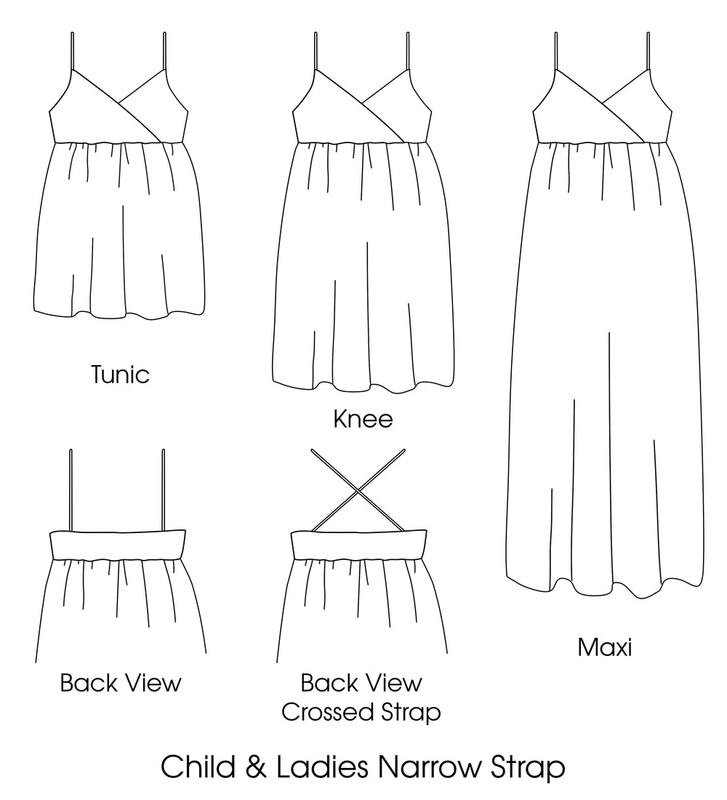 You will require the same amount of bodice pieces as the original version, although you will need to cut your skirt to the desired length. I wanted a mid drift length for my daughter, so for a 5-6 height I cut a 4" height skirt by the original pattern's width. The back piece will be the only piece you will need to cut with a significantly reduced width. You can use the back elastic cutting chart as a guide, cut your back piece to suit. Use a swim lining fabric to line your top. I used 1/4" elastic and if you're doing the same, you may wish to remove some fabric for seam allowances. I opted to leave as is and didn't find there to be a large difference. 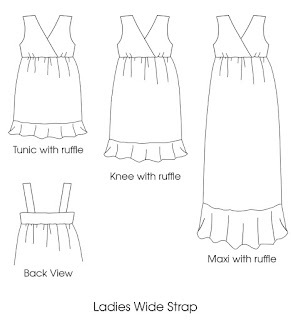 Start by sewing your front main bodice pieces right sides together to your back bodice piece at the sides. Repeat for the lining. See above photo for reference. Use a stretch stitch and keep to the 1/2" seam allowances as per original pattern. 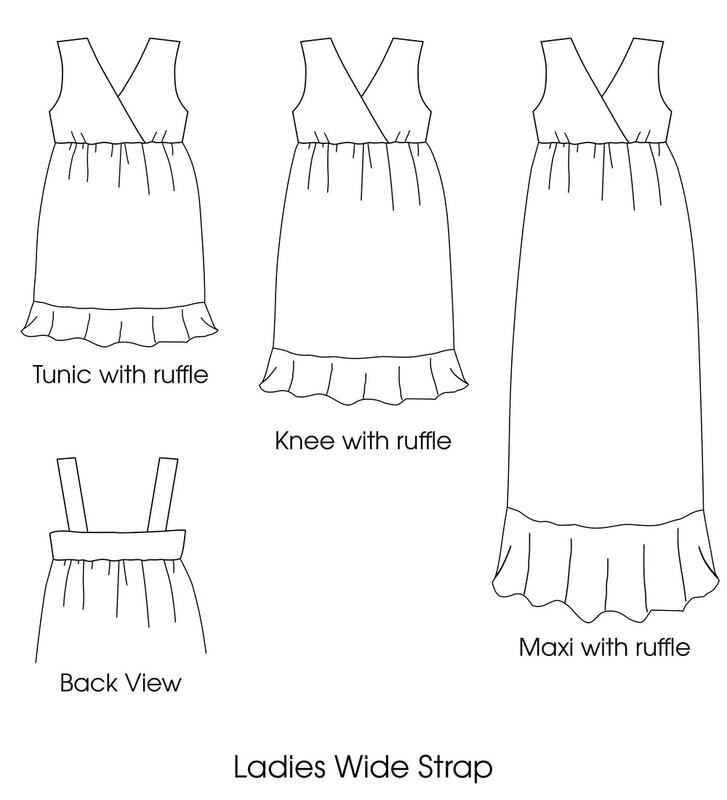 Sew your straps right sides together and turn, as per original pattern. You may need to shorten your straps, I reduced the length by 1". Baste the bodice main and lining wrong sides facing. I serged (overlocked) although a zig zag stitch is perfectly acceptable. If you are sewing a women's version, I'd highly recommend adding in padded cups for extra support. You may wish to tack them in several places to the lining to hold in place - hold on your body to check appropriate positioning. Next step is the add in elastic to the side/back and front of the bodice. The elastic needs to be cut according the measurement of your suit. 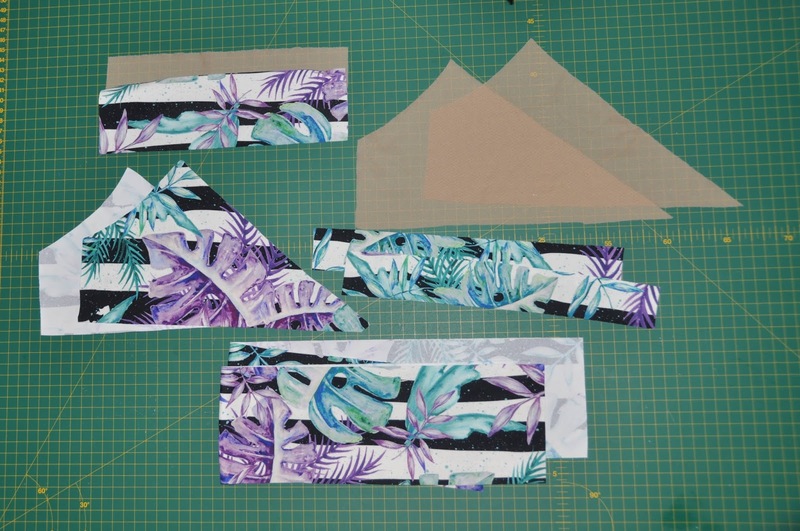 For the back, measure 1/4" approximately - or whatever the width of your swim elastic is from the top point of the front all the way to 1/4" (approx) to the other point of the front bodice. Reduce this measurement by approx. 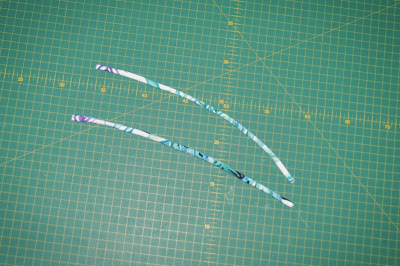 2" inches and this is the length your elastic needs to be cut to. For mine, this elastic measurement was 14.5". 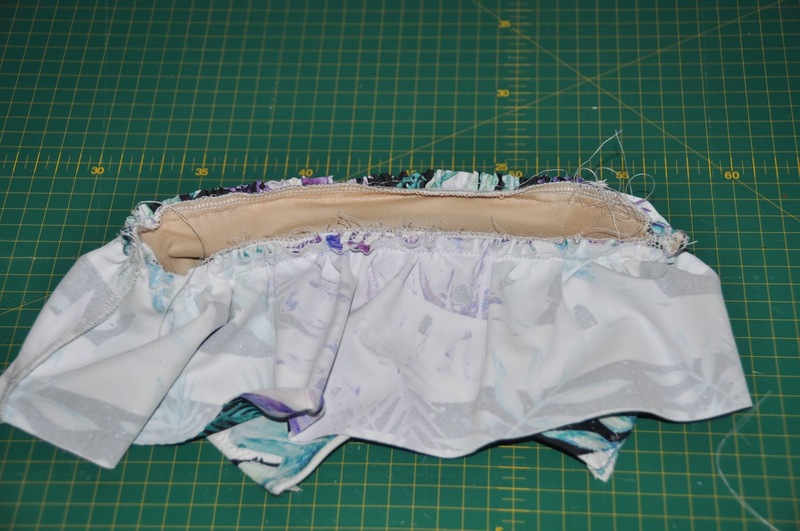 For your 2 front elastic pieces you will need to allow for the 1/2" seam allowance when you add on your skirt - we don't want to fold up elastic into that seam as it will add in too much bulk! So firstly FOLD UP 1/2" of fabric along the bottom edge of your bodice. Along the front angle where the folded 1/2" crosses you front bodice, mark and measure from that point until 1/4" (approx.) from the top point. Repeat for the other side - although the measurements should be the same. From this measurement, minus 1" approx. Cut two pieces of elastic at that size. For my version I cut 2 pieces at 6 3/4". Sew on your elastic - pin at the 1/4" from the top points as marked in the previous step and the bottom markings as discussed. It is also a good idea to pin at the centre point for each the front sides and the back piece. This means even stretch when sewn. The top edge of your elastic should line up with the top raw edge of the bodice. Use a stretch stitch or serge, careful not to stretch the fabric as you sew. This will mean the elastic is stretched when sewing. After the elastic is sewn on, fold over and stitch down using a zig zag, twin needle or cover stitch. I like to sew closer to the raw edge when using a zig zag as this reduces the chances of rolling or flipping of that edge. Be careful not to stretch your top while sewing! Once your elastic has been added, try on yourself or your model, overlapping the front bodice so that the top fits very snugly. It must be quite fitted as you do not want that top flying up when swimming! (Particularly for developed people!) Mark the top and bottom cross over. Take off and baste the bottom as per the cross over marks. Tack the top cross over too - you may even wish to sew along the cross over angle all the way to the bottom for extra support/modesty. 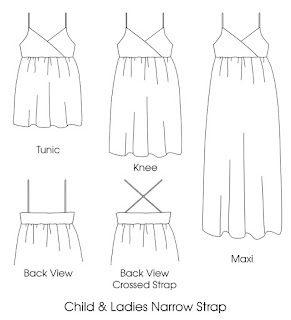 Unlike the original we are just going to simply sew on that bottom skirt to the top. Gather the skirt as per the original tutorial. 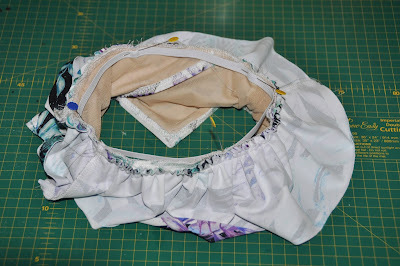 Place the top of the skirt, right sides together to the bottom of the bodice, matching the side seams. Sew using a stretch stitch. 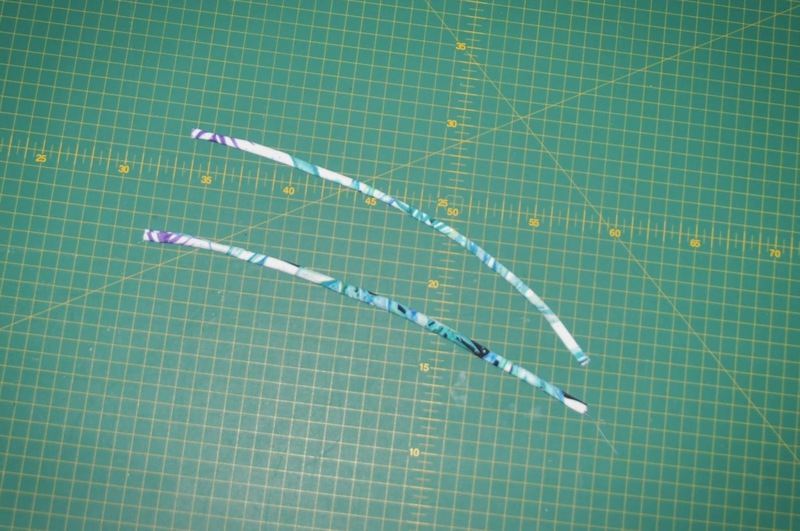 Cut a piece of swim elastic the size of you or your models waist, minus 2" approximately. Quarter the elastic and the top bodice seam allowance where you sewed the skirt to the bodice. Pin and/or tack your elastic to the top. Sew in your elastic and finish if desired. Press up and top stitch using a stretch stitch. Sew on your straps. 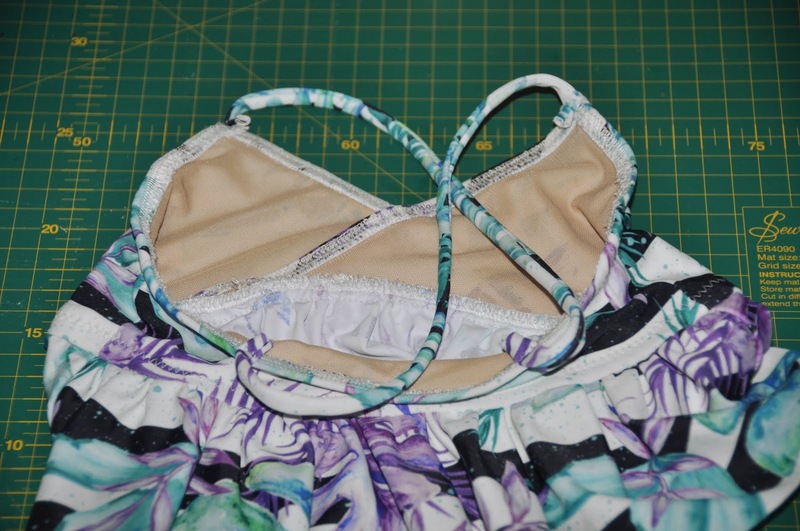 There was no pretty or concealed way I could see to do this while maintaining that lovely sharp point we created when adding in our top bodice elastic. I simply used a stretch stitch (you could also hand stitch) to sew the strap internally to the top front points and back - I sewed the back straps at the quarter points of the back bodice (measure your back width and divide by 4, measure in from the edge as per that measurement) stitch on the inside. Trim off excess strap. If you made it this far, well done! Your Monte Carlo swim top is now complete! Off to the pool/beach/river with you! Thank you for stopping by, please don't forget to check out the other amazingly talented women on this blog tour! 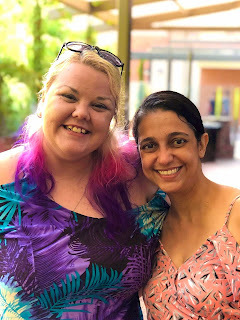 Oh and one last share.....I'm proud to be part of such a supportive and talented group who sew regularly for Rebecca Page Patterns and this week I had the pleasure of meeting Kiran from Singapore! Kiran is extremely talented and I have admired her for years. We've shared many tester groups, sewing along side each other for some years now, although thousands of kilometers away from each other. It was a meeting I will always treasure, see you in Singapore Kiran! Hi there! Welcome! 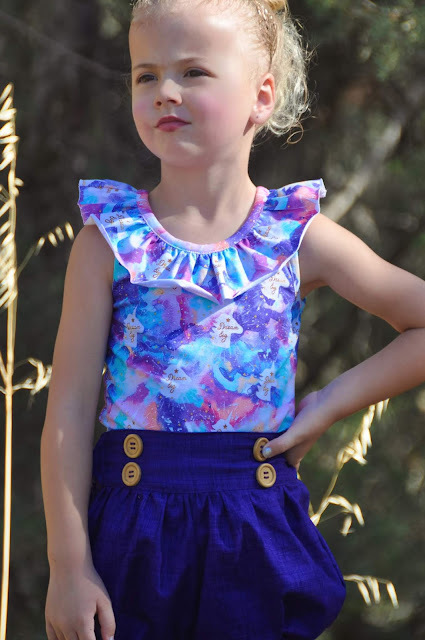 Today I'm delighted to share with you two of the newest pattern releases from Little Lizard King (LLK), the Islington top & London leotard. Plus I'll share with you links for some AWESOME FREE cut files! Islington is a wonderful staple piece. To be sewn in knit fabrics, with long or sleeveless sleeve options. The girls pattern includes sizes 12 months 14 years. 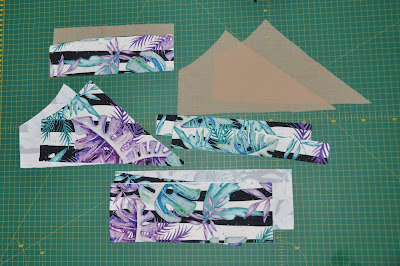 The layered pattern pieces make grading a breeze, which is important when I'm sewing a 5 height, 3 chest and 2 waist! 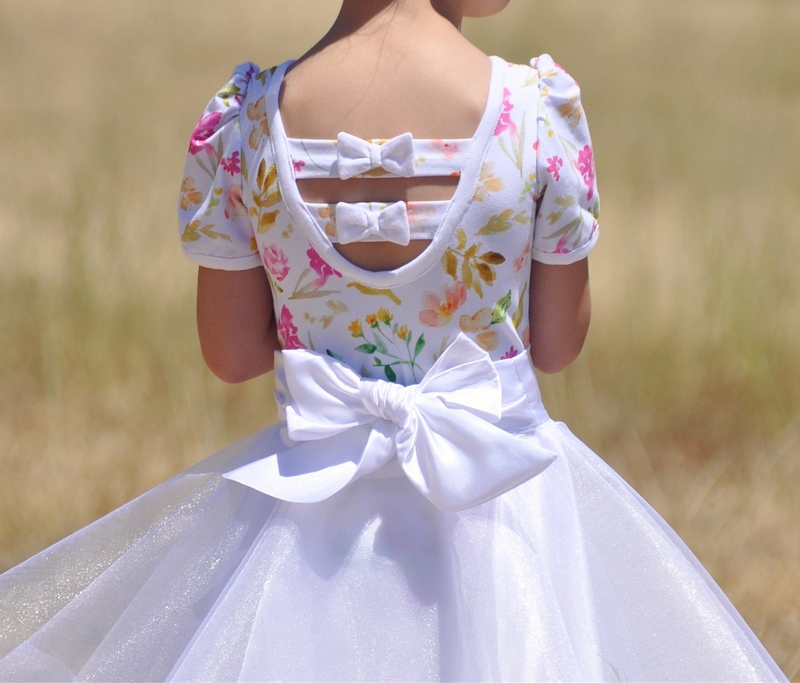 I adore the neck frill, just the right length not to look circus-like and very feminine. Did you know LLK has some FREE text cut files? No!! YESSS!!! There are several beautiful and fun text cut files available on LLK website. Check them out HERE. 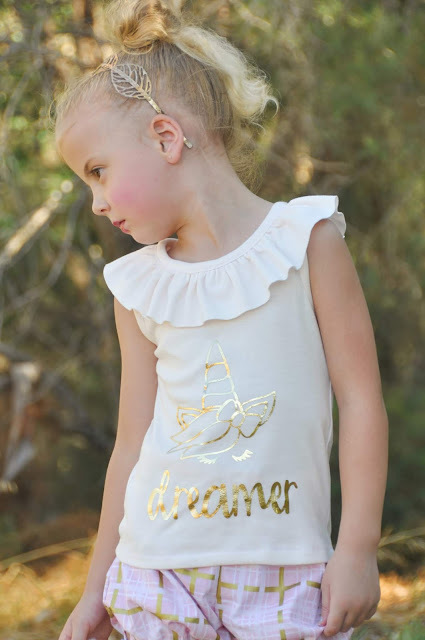 I chose two different texts, "Dreamer" and "Free Spirited" two great nouns to describe my daughter.....although maybe "Diva" would be apt too! Said diva looking like a princess! 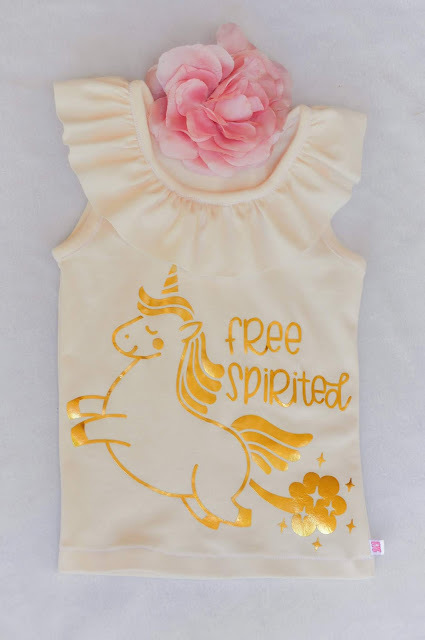 I loved the "Free Spirited" cut file, although it needed the right image to pair with it......cue farting unicorn! Find the FREE farting unicorn cut file HERE. I used a gold chrome iron-on vinyl and my brother scan 'n' cut to achieve these looks, although I believe the cricut will also work. Flat lays are clearly not my thing! 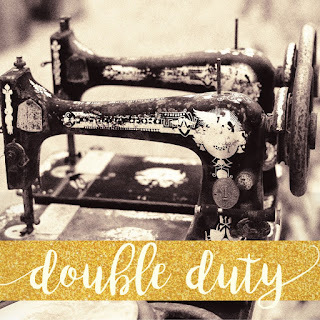 If you would like more inspiration, join the LLK sewing community HERE. Just quickly, let me show you the London leotard by LLK. 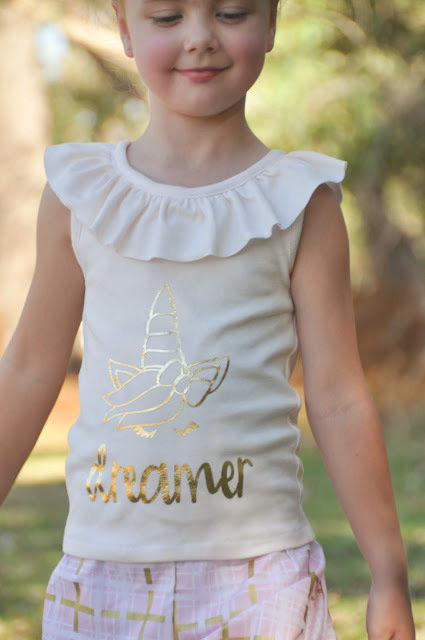 Girls version includes sizes 12 months to 14 years. 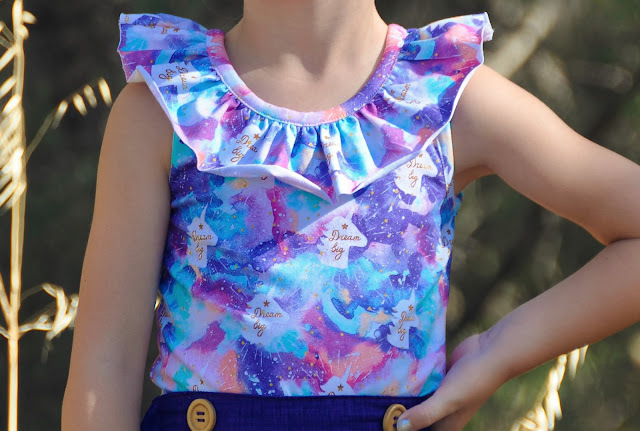 All the usual perks of LLK patterns included - detailed tutorial, layered pattern pieces and full colour photos in pattern. 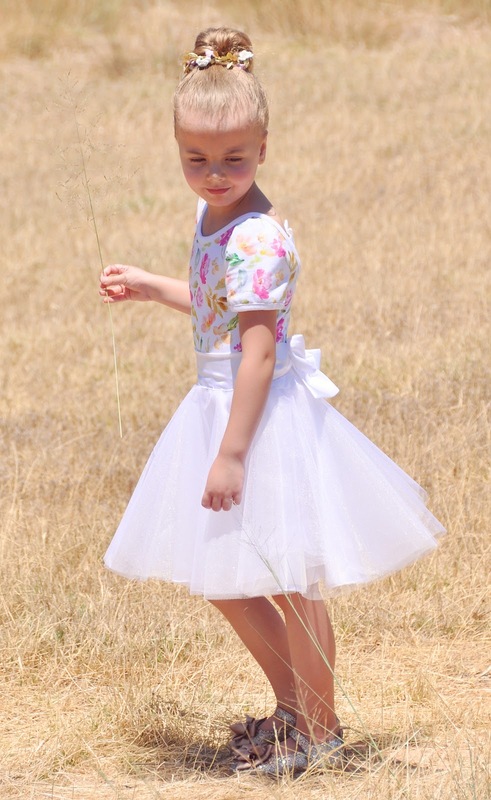 Pair with a skirt for a perfect dance/party/shopping/play outfit! I paired my version with the Piccadilly skirt (see top 3 photos) and here with LLK's City Lights skirt. 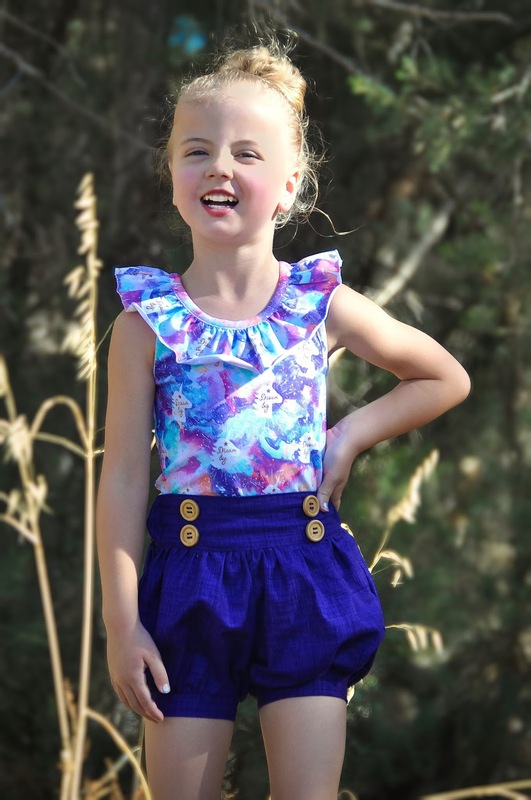 The pattern includes short, puff, long, sleeveless and sleeve tie options. This one pattern has many possibilities! 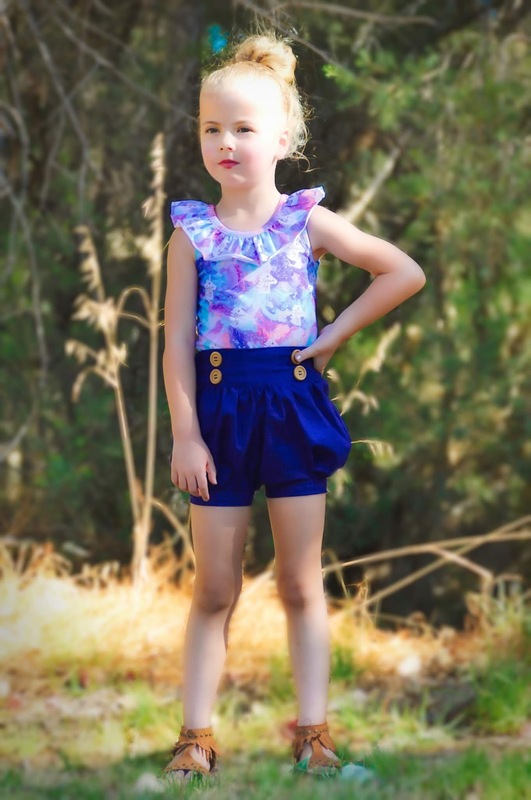 If you want to see more, check out the London leotard HERE.